We invite you to join Team Jarhead as part of the Marine Corps Scholarship Foundation Marathon Team at the upcoming 35th annual Marine Corps Marathon on October 31 in Arlington, Virginia. Jarhead Wine Company proprietor Adam Firestone will be lacing up for the marathon, and you can join him and others on Team Jarhead. Your participation will support the mutual mission of Jarhead Wine Company and the MCSF to provide educational assistance to children of U.S. Marines, with special consideration given to families of fallen and wounded Marines. Automatic tax receipts and thank you notes sent to your donors via e-mail; and sample contribution letters that can be personalized to help ask your friends and family for their support. Click here and here for additional details (specify Team Jarhead when signing up), and please help us spread the word. We look forward to running with you. The 2008 vintage christens a new label design for Jarhead Red, one that builds upon the earlier label while incorporating fresh new elements. 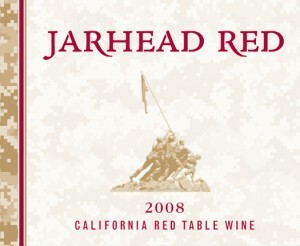 The new Jarhead Red label features the “digital camouflage” pattern seen on the Marine Corps Combat Utility Uniform, in keeping with Jarhead Red’s positioning as a wine for “everyday” enjoyment. Our Jarhead Reserve label will reveal a similar evolution with the release of the 2008 vintage later this summer. 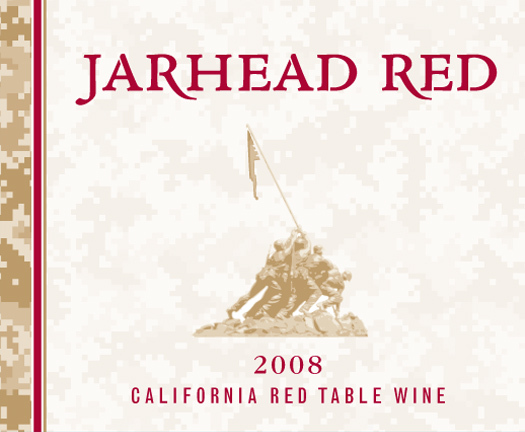 The new Jarhead Reserve label echoes the “dress blues” that are worn in more formal settings, in keeping with the wine’s “reserve” status. Inside the bottle, of course, the wine remains the same: intense flavors, fine structure, and a finish that doesn’t quit. We hope you like the new look, and we are looking forward to your feedback.